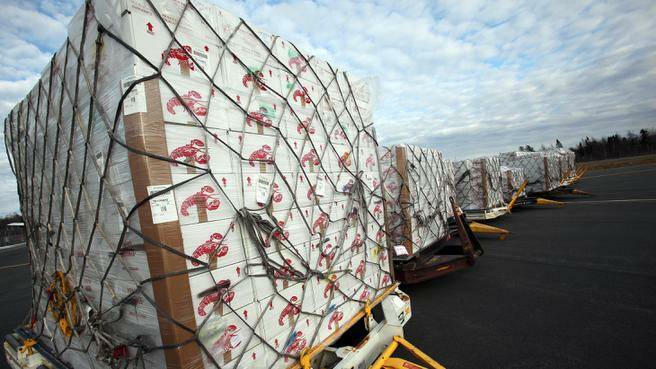 Two months after new tariffs on sales of live lobsters from the U.S. to China took effect, exports are down nearly 30 percent and Maine lobster dealers are feeling the effects. Some are laying off workers, while others are scrambling to find new markets. 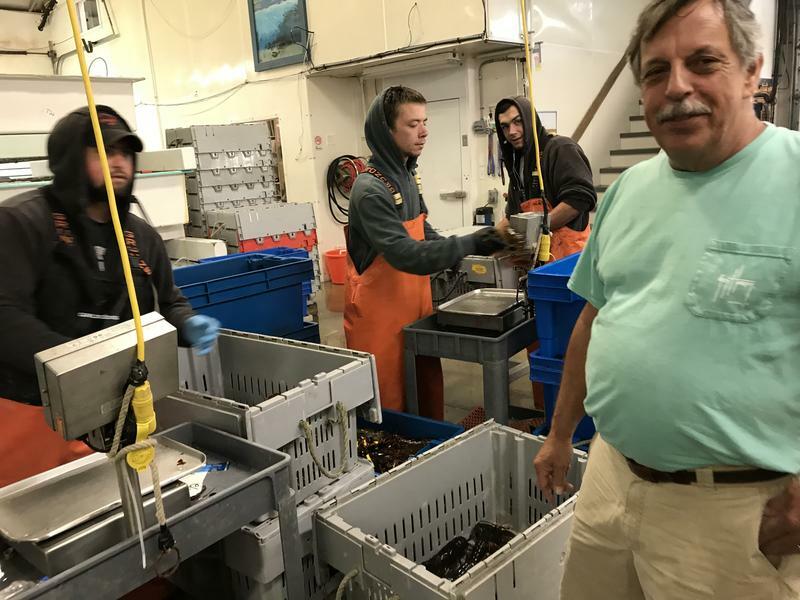 Stephanie Nadeau, the president of The Lobster Co. based in Arundel, says she has lost a third of her business — about $10 million a year in sales to China. Nadeau spoke with Maine Things Considered Host Nora Flaherty. Flaherty: What have the tariffs meant for your business? Why did you decide to focus on China in the first place? I’d always kind of specialized in Asia, and I’d first gone to China in 1997 for the first Chinese seafood show, and it really took 10 years until they started to buy lobsters. I’m kind of a middle-man lobster dealer so I have to kind of go farther away with my lobsters and take a little bit more risk to get the sales. Given the loss that this does represent for your business, what are you doing to try to counteract it? And is that leading to tensions among lobster dealers? There are only so many people that buy live lobsters, and since a substantial portion of the Maine lobster catch was going to China, the only way you can really get more business is by taking it away from another lobster dealer, and the only way you do that is by lowering the price, so being cheaper than another lobster dealer. So it’s a zero sum game. I’m not doing anything. I’m just kind of sitting here waiting it out. Are these tariffs impacting lobstermen at all? Not really, because most of the lobsters seem to be getting bought by Canadians. I heard a trade figure that the exports from Maine to Canada were up 87 percent this year, which means they’re taking lobsters that I would normally buy and maybe sell to Chinese people, and they’re selling them to Chinese people. So the fishermen aren’t really being impacted by this. The Maine congressional delegation has talked a lot about the work that they’re doing on lobster dealers’ behalf. What do you see coming out of that in practical terms for your business? I don’t see there’s anything that they can do in a practical sense to help us. The only thing that’s going to help us is to get rid of the trade war, and the current administration seems to have little to no interest in doing this. In fact they seem to be wanting to step it up a notch. If you could talk to the Trump administration right now what would you ask of them to improve your situation? There’s nothing they can do except stop the trade war. What is the intended result? What would be a win for the Trump administration? Does someone know? Is anybody negotiating this? I mean from what I understand there are no negotiations taking place. Nothing scheduled. It’s just I have to sit here and wait. If this does continue, what do you anticipate for yourself and for your industry? Either we all have to move to Canada, which there are many moves being made in that respect, or go out of business. There really isn’t another option for us. Someone just tilted the playing field to the Canadians and I don’t think that was the intended result. This interview has been edited for clarity. Production help from Willis Ryder Arnold, Susan Sharon and Keith Shortall. Originally published Sept. 10, 2018 at 4:02 p.m. ET.